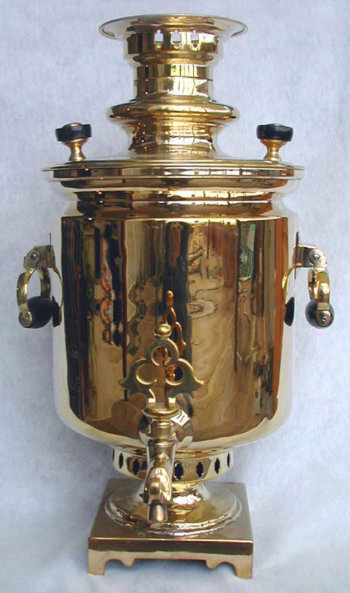 Golden brass Russian Imperial Samovar of peasant barrel shape. Tall and heavyweight with broad crown and square self footed base. Old solder repair to base attachment.